Greetings from Jen Gentleman, Eric Papamarcos, and Rick Duncan of the Windows CoreUX team. 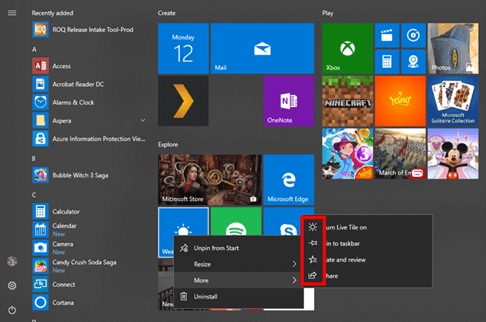 Today, we’d like to focus on one of the cornerstones of Windows 10 — the Start menu — and how suggestions from Windows Insiders have helped craft it into what it is today. The Start menu was introduced in Windows 95, and over time has become one of the most iconic parts of the Windows experience. 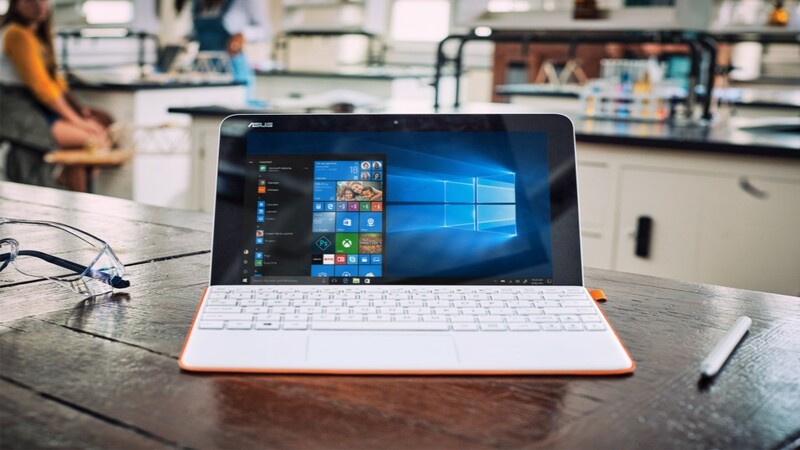 After years of iterations, improvements, and refinements, there was a bold redesign of Start in Windows 8 which replaced the Start button and menu with a Start screen full of live tiles. The Start screen provided a more immersive and customizable home for your apps, but people missed the familiar Start menu. 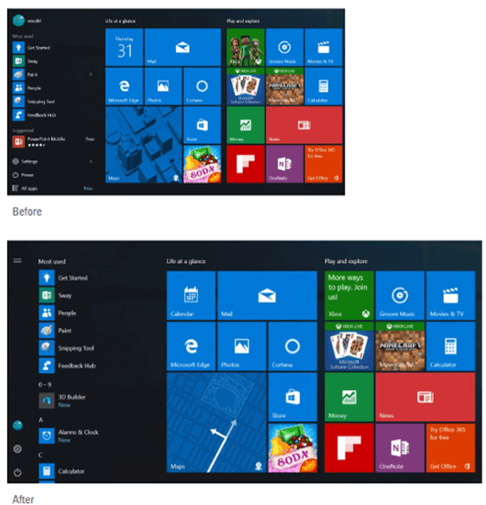 So, we took the best of both worlds – the familiarity of the Start menu and the versatility of live tiles – and created the new Start menu in Windows 10. The new Start menu proved hugely popular, and since then, we’ve been making the Start menu even better with your help. With the next version of Windows after the initial Windows 10 launch (Windows 10 Anniversary Update), we continued to refine Start with a cleaner design that reduced the amount of clicking and scrolling needed to launch apps. We elevated the All apps list to the top level, making it easier to access all of your apps. We combined the “Most used” and “All apps” views to address the confusion that many users felt between the two views. The response to our Quest was amazing! Between the Quest we did for Start menu and a similar one we did for Action Center, there were over 45,000 responses. The feedback was strongly positive. Over 80% of Insiders liked or were okay with the new design for the Start menu, and 83% liked or were okay with the new design of the Start screen. And so, with the strong support of Insiders, we added our new design to Insider Preview build 14328! Moved the recently installed apps section above the “Most used” section to help you get to your new apps faster. Provided the option to hide the All apps list – a suggestion that received almost 6,500 votes by Insiders. Introduced Fluent Design’s acrylic material to the Start frame for a beautiful layer of transparency. Crafted a buttery smooth resize experience (including the addition of diagonal resizing) and transition to tablet mode. Added eye-catching icons to context menus for a more user-friendly design. To Version 1803 and beyond! Simplified letter grouping in Start for East Asian languages: One of the top feedback items we’ve received from our users is that it’s too hard and takes too long to find apps in the all apps list because of the way the apps are grouped when using East Asian languages. In fact, over 12,000 Insiders suggested a new format, so we delivered the simplified grouping of apps in the apps list in Insider Preview build 17063. New Reveal effect to Start in All apps. Introduced in the All apps list in Insider Preview build 17004, Fluent Design’s Reveal highlight is a lighting effect to illuminate important elements when your mouse hovers over them. Of course, our story doesn’t end here. Please keep your feedback coming so that we can continue to improve the Start menu together in future releases of Windows!